Scientific Drilling is a multidisciplinary journal focused on bringing the latest science and news from the scientific drilling and related programs to the geosciences community. Scientific Drilling delivers peer-reviewed science reports from recently completed and ongoing international scientific drilling projects. The journal also includes reports on Engineering Developments, Technical Developments, Workshops, Progress Reports, and news and updates from the community. 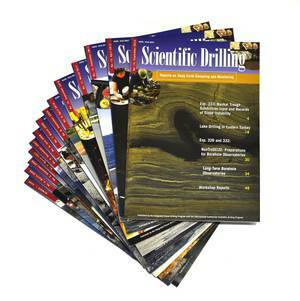 Scientific Drilling is published by Copernicus Publications on behalf of ICDP.